The fall is coming and will even be gone before everyone knows it. The cold is going to appear and when it does, you may need to find some other foods to add into your nutritious eating plan. Some of the summer fruits and vegetables will be off the market and you will need some replacements. Luckily, you are going to find some of the best healthy and nutritious foods to eat in the fall right here! They are tasty, delicious and affordable too. How Will Pumpkin Help You? There are so many great benefits of eating pumpkin. The Vitamin C, Vitamin A and folate are all fantastic for your system and pumpkin has them all. The Vitamin C has antioxidant properties and absorbs iron in the body. The Vitamin A helps your body to grow muscle. The folate boosts cells in your body. If you are trying to lose weight, pumpkin is beneficial with this as well. How Will Squash Help You? There are also so many amazing benefits of squash too. The Vitamin A, Vitamin C, potassium and fiber will boost your system in many ways. The Vitamin A boosts growth of your muscles. The Vitamin C has many antioxidant properties and will absorb iron. The potassium will create healthy blood pressure levels and boost muscle growth. The fiber will help with healthy digestive functioning. How Will Sweet Potatoes Help You? Sweet potatoes are another amazing food that you can eat in the fall. The Vitamin A, Vitamin C, Vitamin B-6 and copper are great for your body. The Vitamin A will help with the muscle growth. The Vitamin C has various antioxidant properties and will absorb iron. The Vitamin B-6 improves functioning of the brain and regulates moods too. 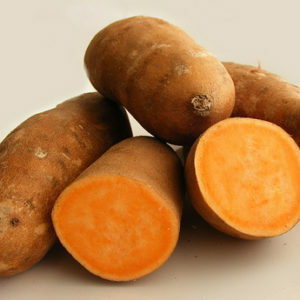 The copper in sweet potatoes will manage red blood cells and boost bone health as well. How Will Pears Help You? 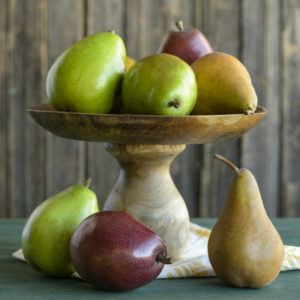 Pears are another one of the healthy and nutritious foods that you should eat in the fall. They are packed full of Vitamin C, Vitamin K and fiber. The Vitamin C has antioxidant properties and absorbs the proper amount of iron. The Vitamin K will aid in coagulation of the blood. The fiber will aid in proper digestive flowing. These are some of the best, healthiest and more nutritious foods that you can and should eat in the fall. When the seasons switch over in can be irritating losing some of the vegetables and fruits from the previous season. However, there are always going to be some amazing foods to choose. During the fall, there are amazing and delicious foods to choose from and the above-mentioned foods are at the top of the list. Next ArticleWhy Do You Have Food Cravings?